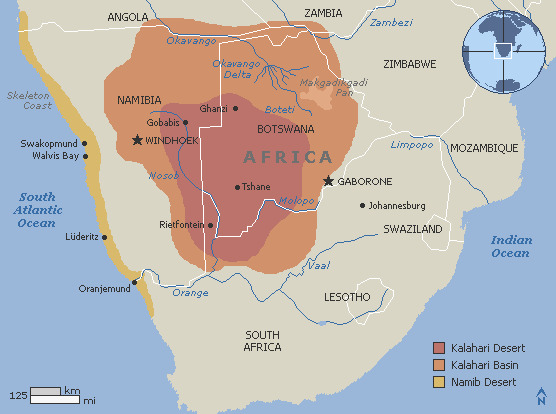 The Kalahari Desert is a large arid to semi-arid sandy area in Southern Africa extending 900,000 square kilometres, covering much of Botswana and parts of Namibia and South Africa, as semi-desert, with huge tracts of excellent grazing after good rains. 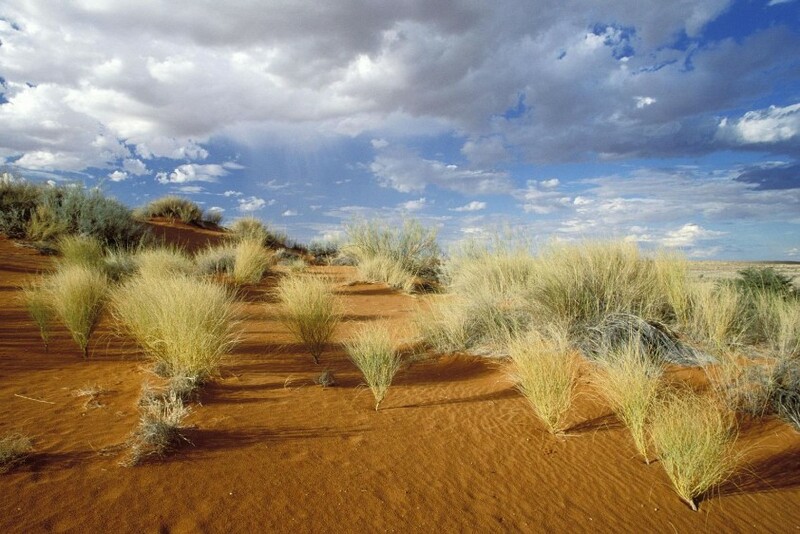 The Kalahari supports some animals and plants because most of it is not a true desert. There are small amounts of rainfall and the summer temperature is very high. 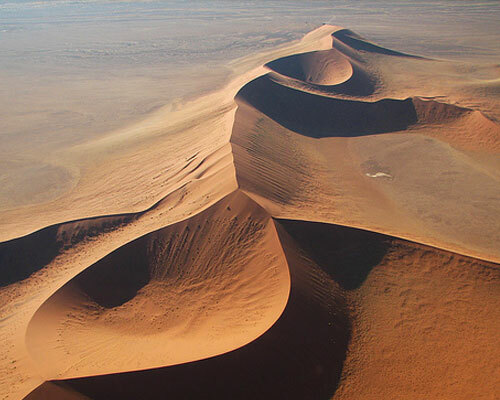 It usually receives 3–7.5 inches (76–190 mm) of rain per year. 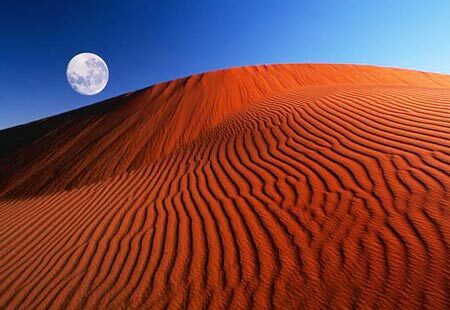 The Kalahari is known for its red sand dunes. June 1997, and we went to find some "lifers". Theresa, Natasha (alias Snip), and me. With Teresa and Charel at a roadside resting place. Twee Rivieren (Two rivers) tourist camp in the Kalahari Gemsbok Park. (Oryx gazella). It is a large African antelope, of the Oryx genus. The name is derived from the Dutch name of the male chamois, gemsbok. the chamois and the oryx are not closely related. is a member of the mongoose family. A group of meerkats is called a "mob", "gang" or "clan". but some superfamilies have 50 or more members. Meerkats have an average life span of 12-14 years. On the way to the Kalahari one can stop over at he Augrabies Falls. within the Augrabies Falls National Park. The falls are around 60m in height. 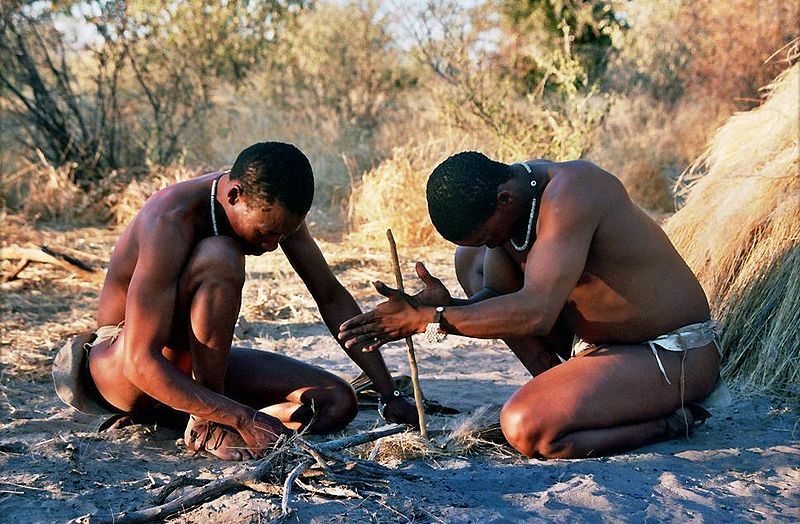 The Bushmen were the original inhabitants of the Kalahari. 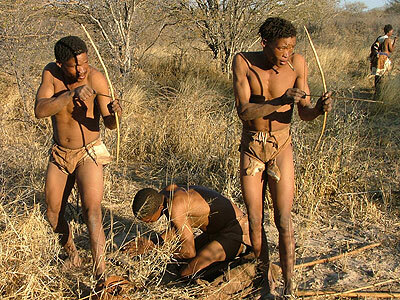 and are related to the traditionally pastoral Khoikhoi. 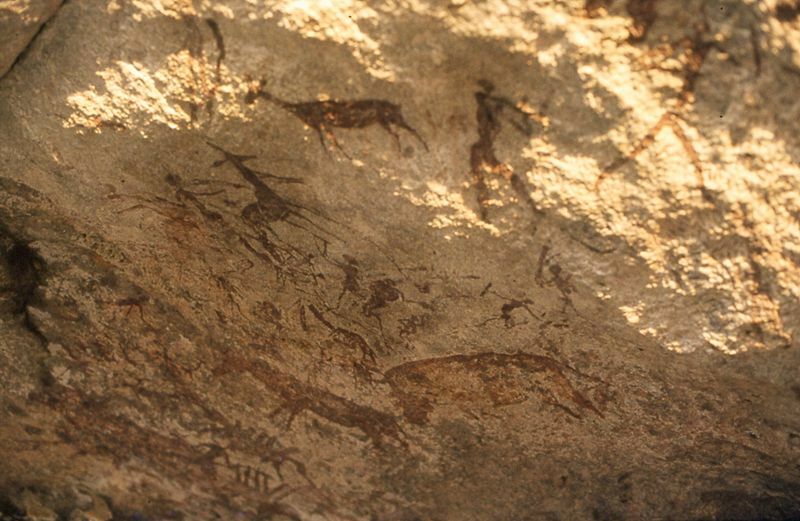 through their rock art and trance dances.